Choosing the proper thumb brace may be one of the hardest decision for patients with thumb injury. When you desperately need a thumb brace, the last thing you need is to be presented with a various products, each with long list of features to compare. Although choosing a thumb brace may not be as easy as choosing a t-shirt, it is not extremely difficult if you know what to look for. In fact, there is absolutely no medical knowledge required. Here’s a guideline to help you choose the right thumb brace based on a list of criteria. Referring to the size of your wrist diameter (usually numbered as size 1, 2, 3, … or small, medium, big). If the size is adjustable, make sure it can be adjusted at least 3 sizes. Make sure the thumb brace is made for left/right hand or can be fitted to both (universal). Some has different models for left and right hand. Not all thumb braces contain splint. See thumb spica splint. There are also thumb braces with removable splint, which can be made of metal or plastic (such as polyethylene plastic). Specified as height (H) x width (W) x depth (D), but most important is the height, as it mean how much of your hand will be covered. Usually, a height of more than 5.0 cm will already wrap some part of your arm. 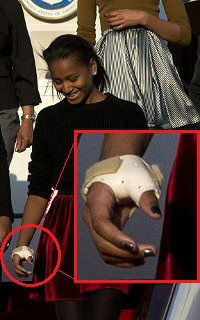 This will determine how easy it is to put on the thumb brace with just one hand (your other hand which is not injured). Common strap mechanism includes velcro, hooks or rubber straps. Material is mostly a matter of preference as it affects how the thumb brace would feel on your skin. This could range from expandable material such as spandex, neoprene (synthetic latex) or natural latex, to breathable material such as mesh, or combination of these materials. Now with a guideline such as the one above, choosing a proper thumb brace should be a breeze. If you need advice on choosing a thumb brace for your condition, feel free to contact us.